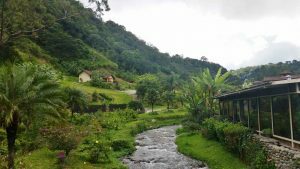 In my post, Panama Vacation – Part 1, I talked about the first half of our trip to Panama. 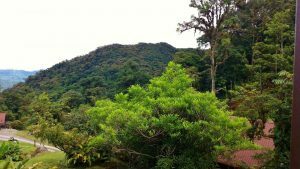 If you haven’t read it yet, I recommend you check it out… a lot of good information on Nueva Gorgona and Anton Valley. But now it’s time for some Boquete talk and that’s what I’m excited about! After initially getting everyone on board for the idea of this trip, I started researching. I dug into a lot of areas in the country that interested me as a potential place to retire and we all tossed around our different ideas. Finally, Mrs. R2R and I proposed an itinerary to my brother and sister-in-law. It involved the hot sun, ocean, and beaches of Nueva Gorgona. It contained the day-trip to Anton Valley, which was a place some friends had talked about that was in the middle of nowhere. But most importantly, it contained Boquete. This was a city I was looking forward to visiting from the beginning. If you’re not familiar with Boquete, it’s a small city in the mountains on the western side of Panama (closer to Costa Rica). 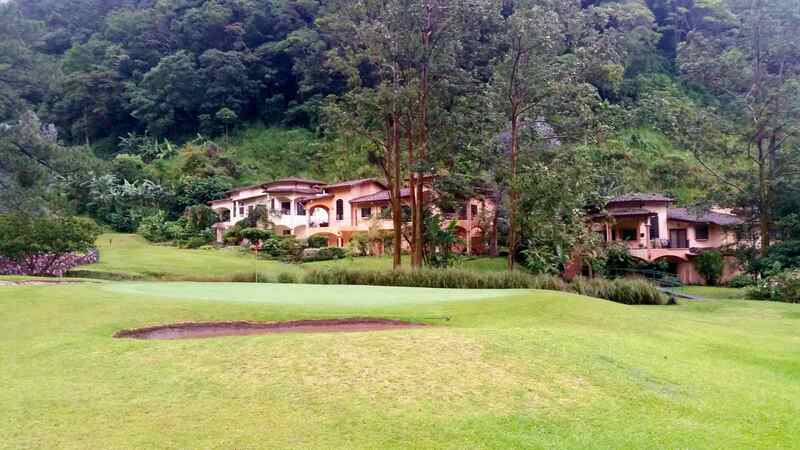 Like some of the other areas of Panama, the cost of living is pretty low. Most local restaurants will serve you up some fantastic food at a fraction of the cost you would pay here in the United States. I also like that it’s a big expat city. It’s not because I have a problem with the Panamanians – in fact, all the locals we met were fantastic. But I feel we would have a lot more in common to talk about with the people coming from the U.S., Canada, and other countries. Additionally, because many expats speak English, that helps on the communication front as well. All that said, what intrigued me the most about this city is the weather. Boquete has an average daily temperature of 75° Fahrenheit year round. Let me say that again… Boquete has an average daily temperature of 75° Fahrenheit year round. I know some people like hotter or cooler weather, but 75° is the perfect temperature for me. You don’t need heat or air conditioning to be comfortable in your house. Ceiling fans are about it for most houses in this city so you save those utility costs and get fresh air all the time. But I also like that I can be outside doing what I dream about without it being too hot or cold. Working on a garden or just taking some nice walks or hikes through trails are easily done in this comfortable weather. And at night, it becomes perfect sleeping weather dropping into the low to mid-sixties. Every night is also a great temperature for having a bonfire with some friends! Sure, it rains a lot during the rainy season (around April through August), but most of the time you can set your watch to it and it’s only for a few hours. Best of all, you’re less than an hour away from the beach and the hot temperatures you want while playing there. As you can probably guess, I was excited to get to Boquete on our trip. So let’s talk some Boquete!!! The drive from Nueva Gorgona was about six hours. There is a highway that runs east and west across the country and provided a nice pleasant drive with a beautiful landscape of mountains in the background throughout. Some friends we met in Gorgona informed us that there was a checkpoint along the way so we weren’t at all surprised when we got to it. We presented our passports and after about 30 seconds, we were able to move on through. 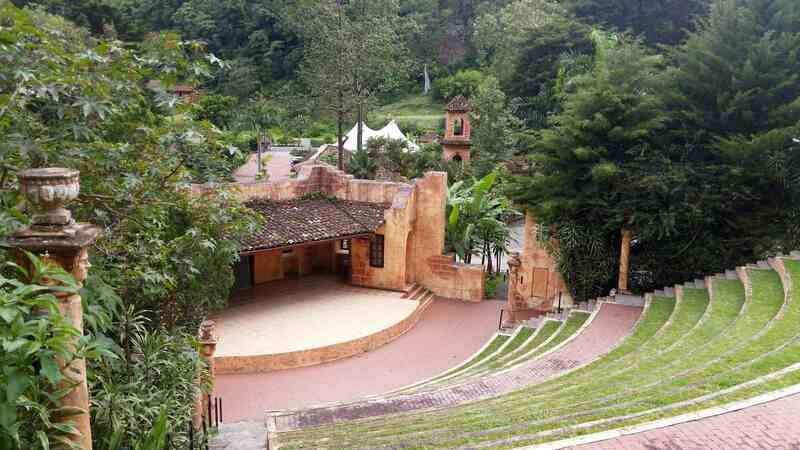 How cool is this amphitheater?! Look at how beautiful this is! Um, yeah, she was right. We got drenched. 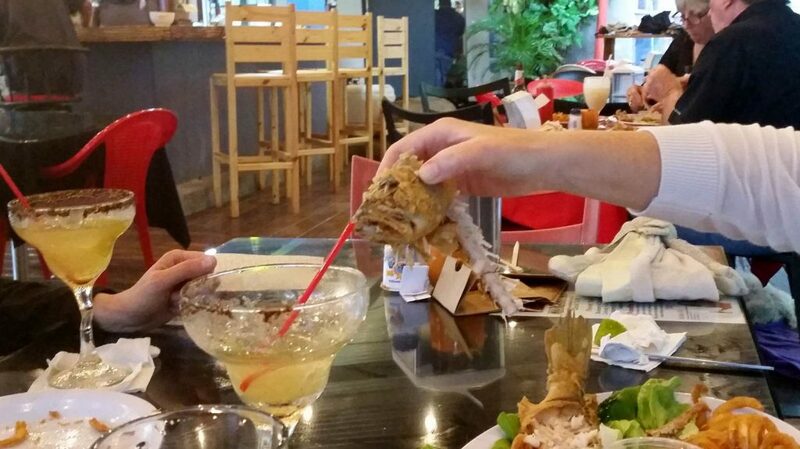 …but not before she got the fish drunk on her margarita! So what was it like in Boquete? After that first wet evening in Boquete, we figured things out a little more. We were there during the rainy season and sure enough, guess what? It rained. It rained every day like clockwork. It was actually interesting because in the late afternoon, that 75° weather would almost instantly suddenly drop a handful of degrees and you would know the rain would be starting momentarily. And then the bottom would drop out with some very heavy rain. But, a couple hours later it would be done and over with. 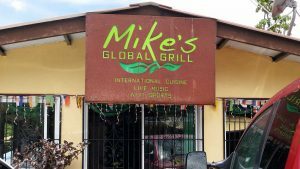 We went to a fantastic place called Mike’s Global Grill a couple times. A guy that came down to Boquete years ago from Chicago opened this place (great guy). I also had the best burger I’ve ever eaten in my life there. Supposedly, that’s pretty much the way it rolls here every day during the rainy season. Many of the expats say that you get used to it and just get your errands and everything else done during the morning and early afternoon before the rain hits. 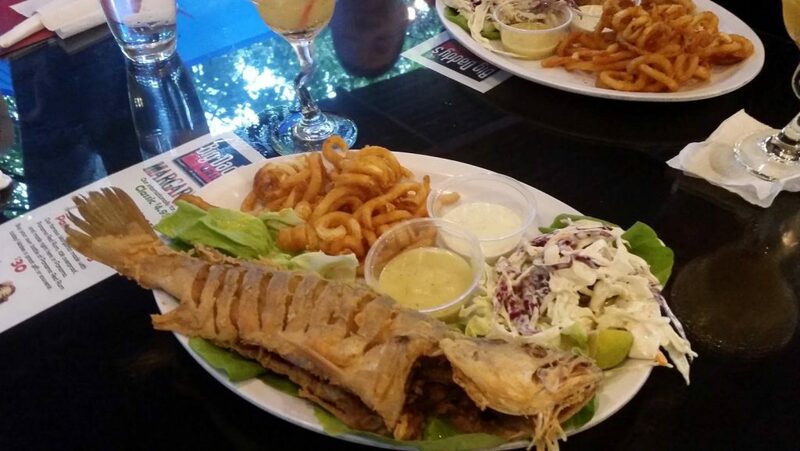 If you like food, Boquete’s your place. No shortage of restaurants and we hit a lot of ’em. You can find every type of ethnic restaurant you might be looking for (including American). 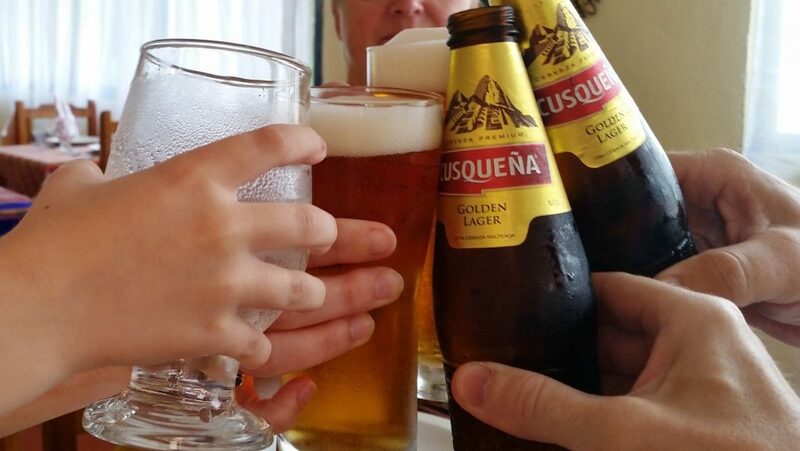 Of the places we went, the food was great and the prices were generally inexpensive even compared to our restaurants in the Midwest of the U.S.
Cusqueña Dorada – a Peruvian beer! There seems to be two main grocery stores in downtown Boquete – one being much higher priced than the other. Regardless, you can get almost anything you’re looking for at the stores so you won’t be left hanging. And the lower-priced store had some prices that seemed much cheaper than the regular grocery stores at home (although nobody beats my Aldi!!). More importantly, you could buy individual beers for around 40-50 cents, so that gave us a great opportunity to bring back all kinds of healthy stuff to drink on our patio at the condo. 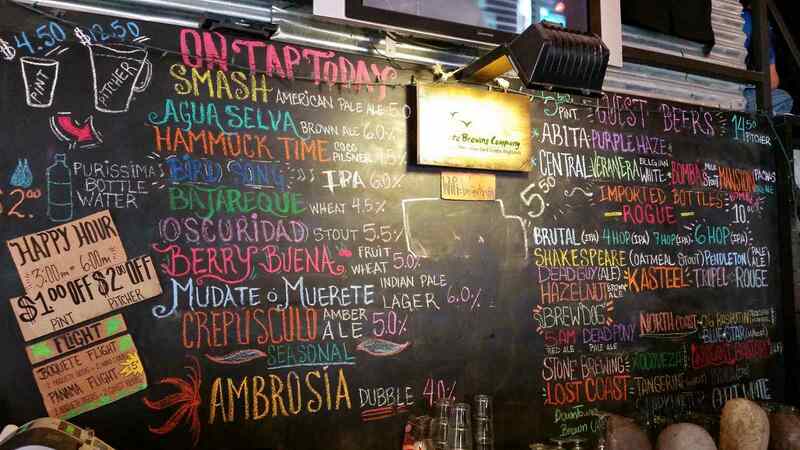 We talked to another gentleman who had nothing but great things to say about Boquete. One of the things he told us was that he pays $265 a year for full coverage insurance there… $265!!! He then pays for an additional service through another company that covers him for emergencies. They’re bilingual and he could just call them in an emergency and they would handle getting him to the right place and all the details that might otherwise be difficult with the language barrier. That one’s $89 a year. What?!!! I think I could live with that. And the way I understand it, the doctors train in the U.S. and sometimes France or Mexico. As one guy put it, there are no frivolous or malpractice suits in Panama, so the costs are low. He said most doctors are very good, but there are a few quacks so just like anything, you need to do a little research first and get some referrals from other people. There are no beaches in Boquete – you’re in the mountains, silly! However, there are beaches less than an hour away near David (the biggest expat city in Panama). Although we flew back home from David, we didn’t get a chance to explore it or check out the beaches near it. Before we went on this trip, Mrs. R2R and I had decided that we would surprise our daughter with something special while in Boquete. The initial plan was to go horseback riding, but we left the plans loose just in case. And if you’re a parent, you likely already know that you never tell a kid special plans ahead of time in case they fall through. Well, we kept it a secret, but then we came across the idea of zip-lining. 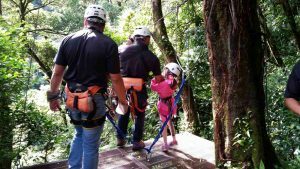 We decided to present the choice of horseback riding or zip-lining to our almost-seven-year-old daughter. 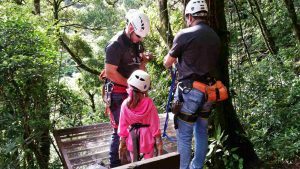 For as much as she loves animals and especially horses, she jumped all over the zip-lining idea. “I can go horseback riding back at home!” was her reasonable judgement… and so it was decided. 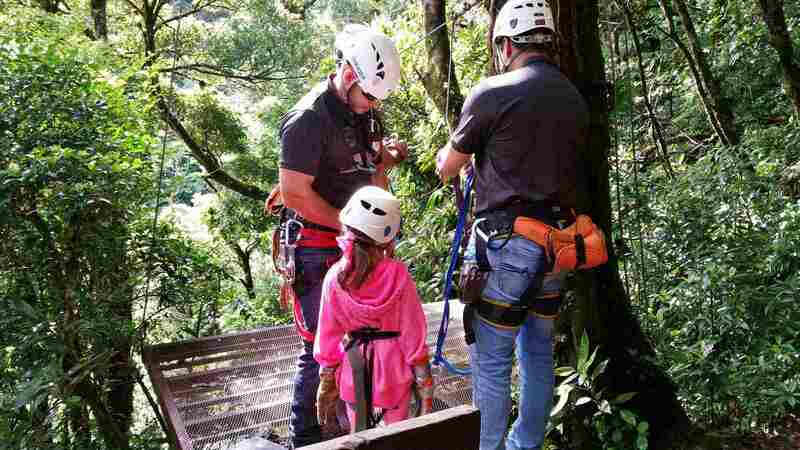 We booked our mission for zip-lining up through the mountains. They took us up about as close as you can get to the tops of the mountains for the adventure. Truly, a tremendous time and my daughter loved every second of it. 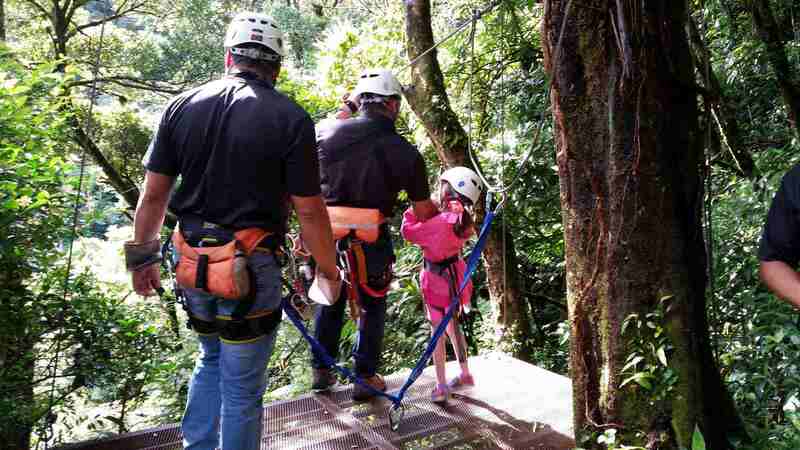 Maybe we’re bad parents for taking our young daughter zip-lining, but she survived and had a blast. They were extremely strict on the safety protocols and she had to go tandem with the guide so I felt more confident of her living to talk about it. As for my wife, she’s afraid of heights. 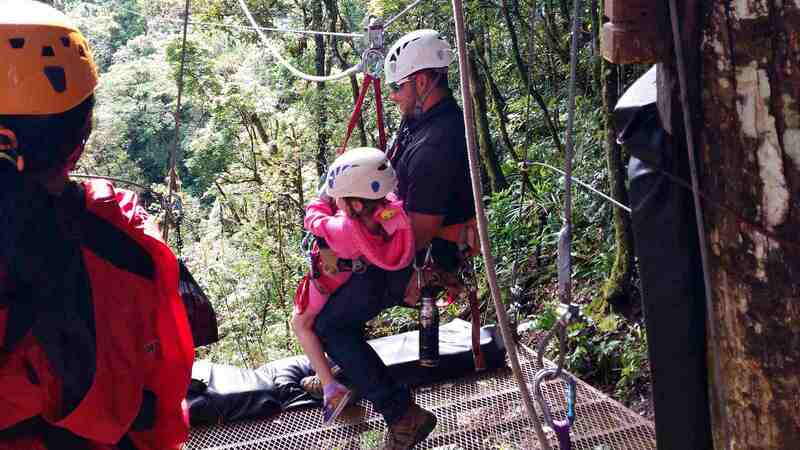 Somehow, this was the second time I convinced her to go zip-lining. The first time was in the jungles of Jamaica. She had some scared looks in the pictures, but she still enjoyed it. And me, I had a blast and absolutely loved it. The views were amazing and it’s just an amazing feeling of freedom as you fly across the sky. There were 13 runs – two of which were each over a third of a mile long. I really enjoyed Boquete. By the end of the trip, I was pretty convinced I could move there. But, I feel like we still might need to do a little more research and visit it at least one more time. We felt very comfortable there. Walking around the city, everyone was very friendly. There didn’t seem to be a division of social classes. You might find a rundown house and then, right next door, an extremely nice, upscale home. Everyone just seems to do their own thing and nobody seems to care or look down on each other. After reading about the downtown Boquete area for several months, I had already pictured what it looked like – small shops, a number or restaurants, and a lot of people walking around. That part lived up to my expectations. However, what surprised me was that the area was more rundown than I anticipated. Many of the buildings were much older than I envisioned and some were falling apart with a lot of poor people in and around them. At no point did we feel unsafe, but that did stick out in my mind. Along those same lines, there is a big gap between classes in the area. 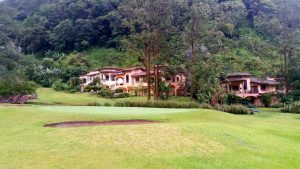 Most of the retirees from other countries who might normally be considered middle class in their country of origin are actually pretty wealthy in the Boquete area. Then, of course, there are a lot of local Panamanians there who seem to be content but barely making a living. It seemed like the middle class was nonexistent. By the last couple of days of the trip, I had a revelation… I don’t remember seeing a single stoplight anywhere on our trip and for sure not one in Boquete. Traffic seems to flow just fine with the alto (stop) signs in place, but it just stood out more after I noticed it. I’m not sure that I would want to live right in the Boquete area. 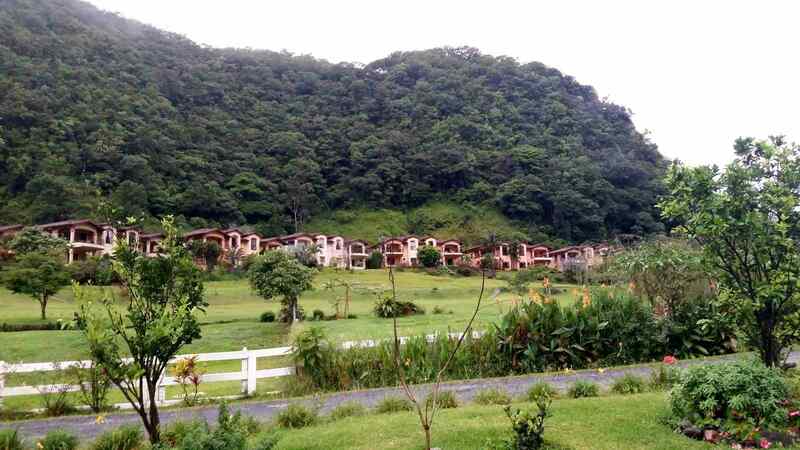 The place we rented in Valle Escondido Resort was a really wonderful area, but those places go for ridiculous amounts of money. On the other side, there are some tiny, rundown places that would be pushing it in my quest to simplify my life. However, we drove past some great cities just outside of Boquete that seemed more up our alley, both in price and the community. I’ll be digging into those areas more to see what I can find out. The wealth gap there bothers me a little bit. Even though I dress in my Walmart clothes and don’t carry myself as all high and mighty, I still kind of felt like some rich jerk at times just seeing how poor a lot of the Panamanians are. I guess I should definitely throw in the travel time. We knew it was going to be a long one, but it took us 18½ hours from the time we left the condo until the time we pulled into our driveway at home. Three flights (David to Panama City to Miami and back home) plus drive times… that’s a long day! So that sums up our trip to Panama. Definitely, a great vacation and I would consider the recon mission a success. I feel like I have a much better understanding of the country and some of the good and the bad it has to offer. Mrs. R2R and I finally had an opportunity to sit down and discuss everything a bit more. I knew she enjoyed the vacation, but wasn’t sure if she could see us retiring there. The good news is that we’re both pretty sure that we could make it happen and enjoy it. We talked about possibly going back to target the cities between Boquete and David to scope out possible places to live. Then we can talk to more people about the specifics of schooling or homeschooling, medical facilities, what they like or don’t like, etc. It’s also possible that I’ll push for a sabbatical at work to try to stay for a month or so in the next year or two (with my wife and daughter of course!). Our company doesn’t offer sabbaticals so we’ll see how that conversation goes! Although I think we would truly enjoy it once we moved down there, the biggest hurdles are leaving family and friends and the fear of the unknown. Moving and retiring to another country you don’t know inside and out is a scary thought. The mind likes to push you to stay in your comfort zone even if other options are great opportunities. I subscribe to the old Arby’s slogan “Different is good” but either way, it’s still a pretty big leap to take. We’ll see though if we can make it happen. I’ll keep you posted with our plans as we figure out what we plan to do! 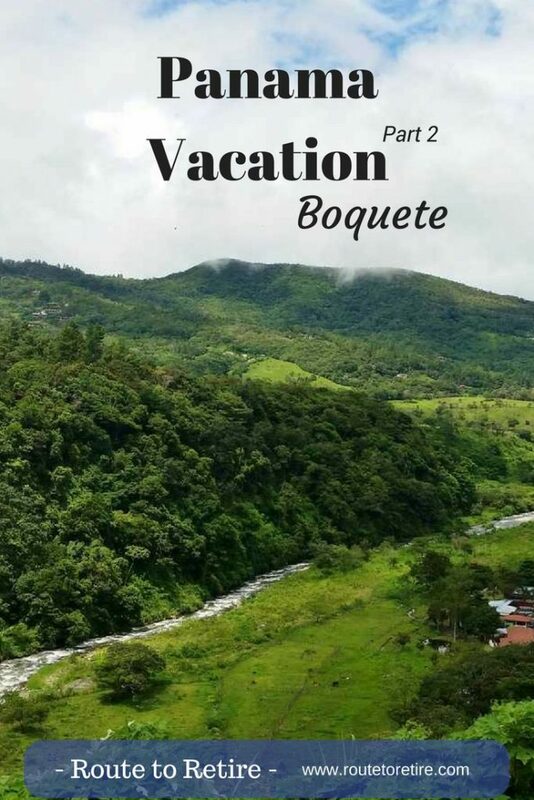 Hope you enjoyed Part 2 of our Panama trip to Boquete!! Do any of you speak the local language. I’m sure English is common at major destinations but it might get harder to find the further out you go. What was your child’s opinion? Good questions, FTF! None of us are fluent in Spanish, so that would be something we would want to learn. Although my high school Spanish classes came right back to me, I would want to re-learn it just to communicate a little better. My daughter loved the trip. Her opinion was that she would move there in a heartbeat. However, it’s not just the area that interested her – she likes the idea of being home-schooled, which is likely what I would do. Also, she just turned seven so it’s not like she has a lot of close-knit friends. If we should decide to make the move a few years down the line though, that might be a little harder for her. Great review of the second part of your trip. I think I would struggle with many of the same things you mentioned. And moving that far away isn’t going to happen with us having 5 kids and our parents still here in the states. We’re sticking to our snowbird plan for now. Winters in Florida and summers in New York, but we’re not against revisiting that in a few years. A lot can change, so posts like these are super helpful. This gives me a bit of inspiration to visit. I am slowly but surely getting my wife on the FIRE train. It’s a beautiful place – I love the simplicity of things there, but I’m sure that’s going to be something that not everyone likes. Good luck getting the wife on board with FIRE – breaking the norm and becoming free from the shackles of a regular job is a wonderful goal. Really enjoy this post Jim! 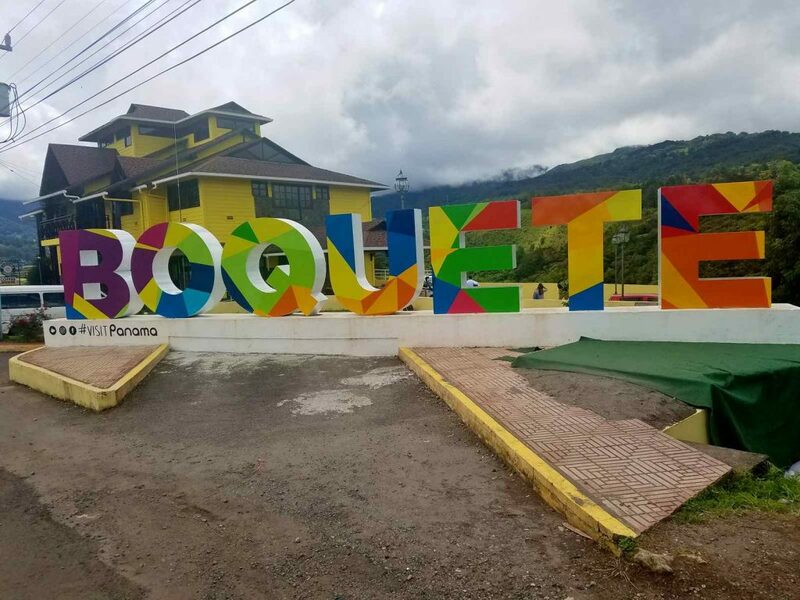 I’d never heard of Boquete, but it seems like a great place. 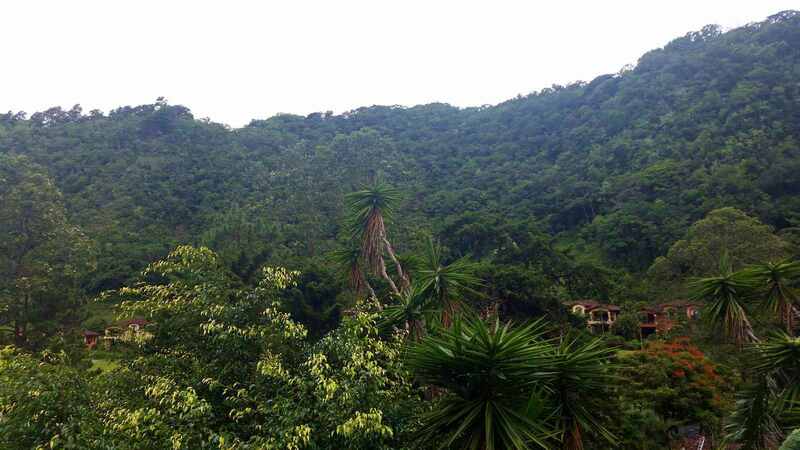 Very much in the jungle! It’s funny that they call it “the rainy season” for just a few hours of rain every day. It rains for *months* here all-day every-day! A couple hours sounds per day sounds really nice. I’m curious — what are your plans for long term visas if you decide to retire to Panama? I guess for some places a rainy season of a few hours a day might be a lot less! 🙂 For me, in Ohio, it’s not something I’m accustomed to, but I imagine it wouldn’t bother me either. Good question on the Visas. 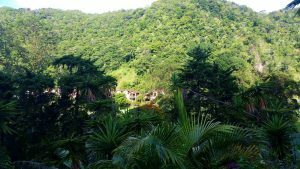 They offer several different types – the most appealing is the Pensionado Visa, which gives you some good kinds of discounts on travel, medical, dining etc. It requires a guaranteed monthly income of $1,000/mo. 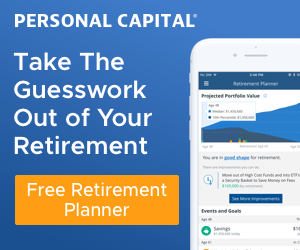 plus $250 for each child – that could be from a pension, annuity, etc. I don’t have any income streams that are guaranteed though by their books and that Visa also means you can’t work at all. That won’t work if I want to keep at this blog and my rental places might cause a problem as well (not sure though). Because of that, I’d likely get their Friendly Nations Visa, which allows you to both live and work in the country. 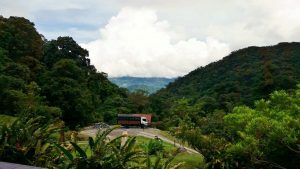 A requirement for this Visa is that you have to fund and maintain a bank account in in Panama with a balance of at least $5,000 (plus $2,000 for each dependent). Then you have the cost to make all this happen with an attorney, which would likely run around $5,000. I’m headed on my Panamanian fishing trip in just a month. It’ll be here in no time! How was the humidity? Looks like the temperature was ideal while you were there. Can’t wait to hear about that trip, Michael… hope you have a blast!! Temperature was great. The humidity wasn’t too much of a factor outdoors because it never got too hot that it mattered. Indoors, however, our place had been closed up when we got there with no circulation so it had that damp feel to it. I think I could handle the rainy season since there is a schedule. Wisconsin is so unpredictable, it drives me nuts! I love that you talked about the grocery stores – always good knowledge to have! Like your wife, I’m terrified of heights, but I’m starting to feel like I just want to LIVE more and what the heck – I want to zip line. I told Chris and his mouth dropped! I think he’s excited that I’m becoming more adventurous! Kudos for taking your daughter! I think are girls would be too scared to do it, maybe one of our three would. Mrs. R2R was scared up there in the tree stands, but she’ll tell you that it was definitely worth it. If you can get past your fear to actually look out around at the horizon, it’s really amazing.